By being able to develop our own product formulations, we hold the full rights to these formulations as well as achieving improved control over product selection, geographic access, costs and other supply chain conditions. A common misperception is that innovators simply share their product ‘recipes’ with specific details about the active ingredients and production processes. In reality, information regarding the original reference product is rarely revealed to third parties, and therefore not used in generic applications. The development of products in-house generates new commercial opportunities. The company obtains global rights to the product, which opens up opportunities for new forms of cooperation. Bluefish has chosen to focus on developing products within niche areas, products with complex formulations, or products which are strategically important to the company, which in turn will increase the value of the intellectual property rights in the portfolio. The company has established close cooperation with Contract Development Organisations (CDOs). For each project, Bluefish selects a collaboratiing partner with the specific expertise and relevant experience for the product in question. The work is managed by the company’s own development team employed at our technical centre in India, with expertise in clinical evaluation, formulation development, IP and quality assurance. Following a commercial evaluation, the development work begins by identifying the technical prerequisites for development of the product formulation, with the aim of assessing the risk level in the project. Parallel to the technical evaluation, work is commenced on identifying a suitable collaborating partner. When the initial analysis is compiled, an overall assessment is made, including the priority assigned to the project. 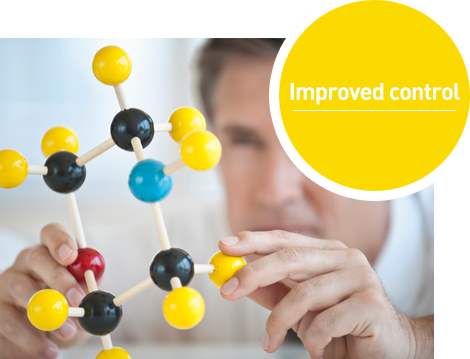 The development of a new product formulation takes, on average, between 18 and 24 months. The development time varies according to the complexity of the formulation, as well as the requirements for the design of the bioequivalence study. When the results from the study are available, the documentation is compiled, which must then be submitted to the authorities in the relevant country, and the manufacturing process is scaled up. Investing in the right products is essential for sustainable long-term growth.